Why isn’t Hasbro Garuda unbanned? For the Hasbro only format, it should be banned since there are no super z Beyblades, but for regular I don’t see why. (Aug. 05, 2018 1:32 AM)HyperBey123 Wrote: Why isn’t Hasbro Garuda unbanned? For the Hasbro only format, it should be banned since there are no super z Beyblades, but for regular I don’t see why. And I thought Hasbro’s wasn’t tight. Go figure. So what if you can't burst it? Now that Chou-Z is out, all the viable layers are at least 5-10 grams heavier than mG, and have better OWD. Compare the spin times of aH._.Et/Br with mG._.Br, even if you can't burst it easily, you can outspin it by a wide margin. Because it makes Attack Types completely irrelevant in the metagame, so every battle in tournaments is just gonna be Stamina vs Stamina with the exact same combinations over and over again. (Aug. 05, 2018 5:31 AM)BladerGem Wrote: So what if you can't burst it? Now that Chou-Z is out, all the viable layers are at least 5-10 grams heavier than mG, and have better OWD. You raise a fair point, but may I remind you, Attack types are already useless since the release of aH and hS. Until bX comes out and gets tested, there's really not much that can be done. 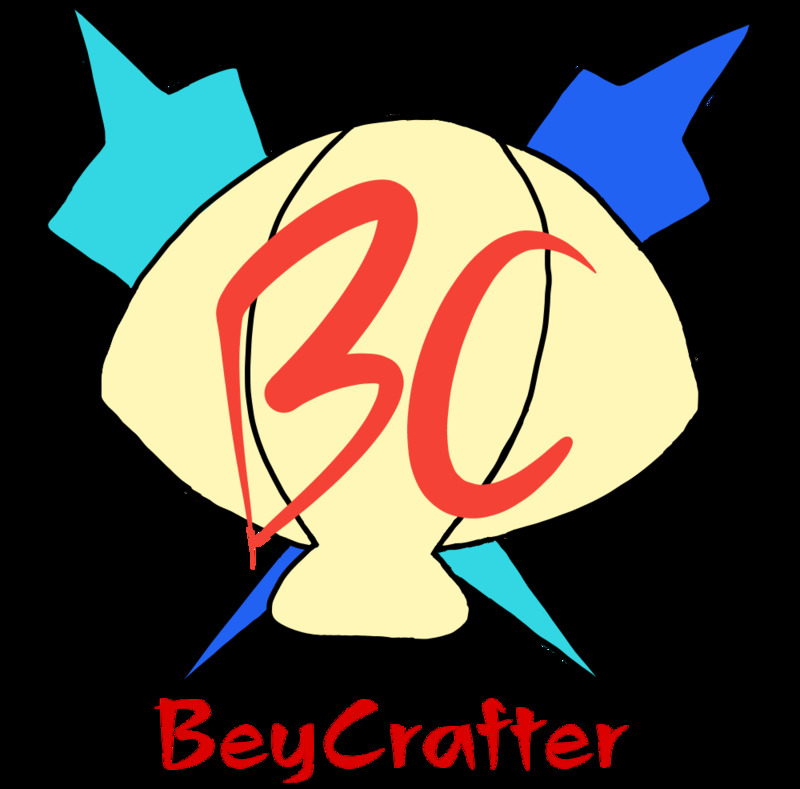 Why would you make a beyblade if your gonna ban it bad choice were mad! (Aug. 05, 2018 11:38 PM)DavidKranz Wrote: Why would you make a beyblade if your gonna ban it bad choice were mad! The WBO didn’t make the Beyblades, Hasbro and Takara-Tomy made them. Im Talking About Takara Tomy I Ment Why would you make a beyblade takara tomy if your gonna ban it bad choice were mad! (Aug. 06, 2018 1:34 AM)DavidKranz Wrote: Im Talking About Takara Tomy I Ment Why would you make a beyblade takara tomy if your gonna ban it bad choice were mad! You still seem to be confused? Let me see if I can help you. Takara-Tomy hasn't banned any Beyblades in Japanese tournaments, as far as I'm aware? Closest thing is the requirement that the Maximum Garuda layer cannot use any God Chips other than the one made for Maximum Garuda. The WBO is not associated with Takara-Tomy or Hasbro (it is not the same as the WBBA). The WBO makes its own rules. The bans talked about are WBO bans, and in this case, the two layers in question were unbanned. They were banned because they ended up being overpowered compared to others, making for no variety of layers to be competitive--which is not very fun or interesting. But now, it seems things have leveled out with newer parts, so they were unbanned. Takara-Tomy only has jurisdiction over its official WBBA tournaments in Japan (and possibly other Asian countries). Again, WBO is separate and not related. It's fan-run-and-organized. Other parts are currently banned by the WBO (Hasbro's Spryzen Requiem S3 layer, Hasbro's Maximus Garuda G3 layer, Takara-Tomy 12 without a frame, etc.). For more info, read the WBO Burst rules. I don't think you get it. It's already unbanned as of now. We previously banned it because it became really unhealthy for the metagame it was either try to beat it or join em. Hopefully this will resolve Archer Hercules and Hell Salamander issues. We're only just a fan run group. Takara Tomy itself doesn't ban any beyblades they make their meta is really actually interesting even though we deny their counters to what we have issues with. And a youtuber 3d printed a circle beyblade top and it beat all of the super z beyblades and Maximum Garuda And Spriggan Requiem. I understand why you didn't unban SrS3, buy why not G3? There are many things that can OS it, and N3/tN, F3/dF, and SrS3/Sr (and probably more things) can burst it. (Aug. 06, 2018 5:11 AM)bladekid Wrote: I understand why you didn't unban SrS3, buy why not G3? There are many things that can OS it, and N3/tN, F3/dF, and SrS3/Sr (and probably more things) can burst it. Are you thinking about the TT version? Because Maximus Garuda is entirely different burst resistance wise to Maximum Garuda. But yeah, Garuda doesn't really pose a threat if the goal is to outspin it. Even though attack types were null and void when Garuda entered the battle field, apparently Salamander and Hercules are making them null and void anyway. Unless Maximus Garuda is able to one-up the Super Z Beys somehow, it poses no threat anymore despite the better burst resistance. No, I'm talking about the hasbro version. My N3 combo can burst my G3. It's not super consistent, but it's definitely not rare. Why don't we put a restriction on Spryzen Requiem, such as not allowing bladers to use bearing on it. Who agrees? (Aug. 10, 2018 12:56 PM)ultra destinus Wrote: Why don't we put a restriction on spriggan Requiem, such as not allowing bladers to use bearing on it. Who agrees? I don’t,sr on bearing gives it almost stamina but makes it burstable,sr on any other driver is virtually unburstable. It's exackty the opposite. Sr on bearing is kinda unburstable,don't know why you think it's burstable. I still remember, OldSchool won with only Sr on bearing in one of the tournaments. This just justifies that it is kinda invincible on bearing. Sr on any other driver is pretty burstable. But it doesn't matter now, cause Sr is gonna get a tough time with the Cho-Z beyblades in the game too. So i don't think we need a restriction on Sr now. I meant Spryzen Requiem S3 on bearing. Sorry, i just woke up when i wrote that, so it's hard for me to think well. That's exactly the Opposite, Sr bearing has stamina and layer has enough defence, to make it unburstable. (Aug. 10, 2018 3:01 PM)ultra destinus Wrote: I meant Spryzen Requiem S3 on bearing. Sorry, i just woke up when i wrote that, so it's hard for me to think well. I heard from beytubers that Sr S3 has even tighter clicks than Sr.
also if you ban bearing, you have destroy and Atomic left. (Aug. 10, 2018 1:44 PM)Battleburst Wrote: I don’t,sr on bearing gives it almost stamina but makes it burstable,sr on any other driver is virtually unburstable. Atomic is a bit weaker than bearing isn't it? (Hasbro i mean) The burst resistance should be mitigated only a miniscule amount, right? (Aug. 10, 2018 3:05 PM)Adarsh Abhinav Wrote: That's exactly the Opposite, Sr bearing has stamina and layer has enough defence, to make it unburstable.